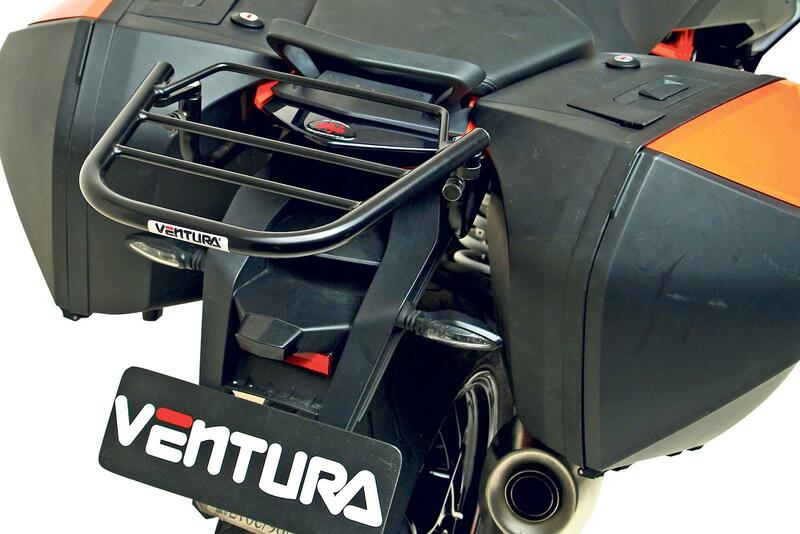 Luggage experts Ventura have released a new luggage rack that fits to KTM’s 1290 Super Duke GT. The Evo-40 adds an additional 40-litres of luggage carrying capacity to the KTM and is made using a water-resistant ballistic fabric to make the pack practical and hard-wearing. A bike-specific bracket attaches to the KTM, to which the rack slides onto. The rack also allows other products in Ventura’s bike-pack range to the bike also, meaning that you can fit a number of different luggage options depending on individual requirements. The only downside to using this system is that it’s a little more expensive than the price of a topbox set, but the versatility makes it an interesting prospect.